There’s no doubt the iPhone can make you more productive when you’re away from your computer. 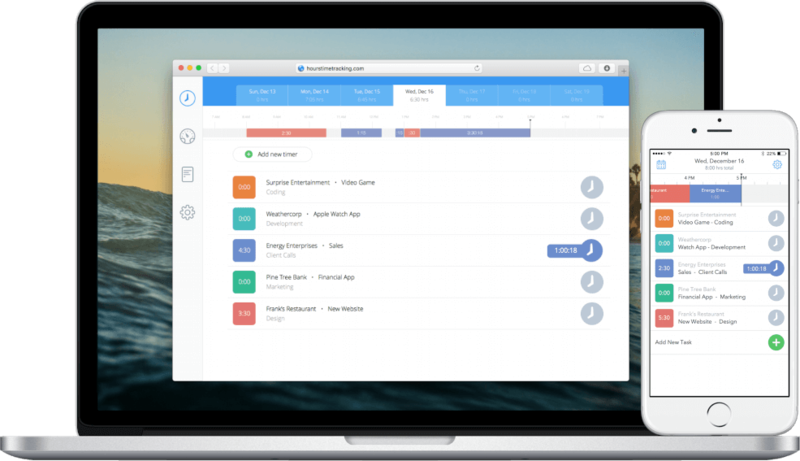 You can schedule meetings, sign documents, and manage all your projects on the go. But which apps, in particular, should you have on your iPhone to get more done? 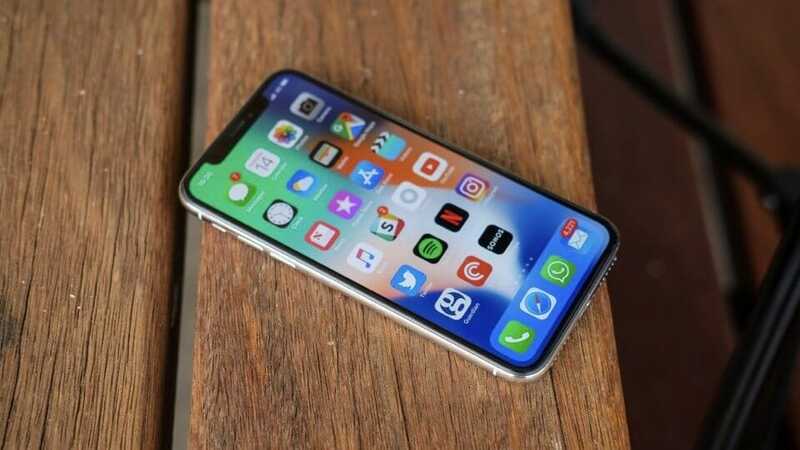 We take our smartphones everywhere we go, and with their powerful processors and LTE connectivity, they can be indispensable as personal assistants and productivity aids. If you’re aiming to get more done on the go, adding some apps to your mobile device can be a step in the right direction. After evaluating and testing dozens of iOS productivity apps, these are the ones we think will help your productivity most. One of the best and most popular services that gave birth to the cloud storage boom, Dropbox is the go-to solution for many people’s cloud storage and sharing needs. 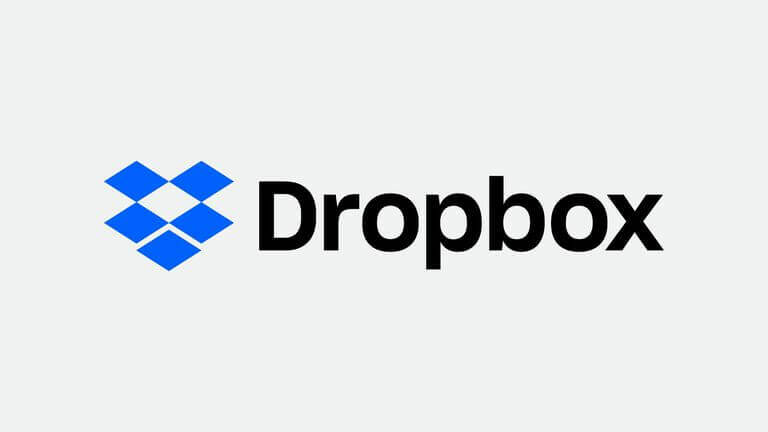 At its core, Dropbox is an online storage locker for your files, documents, photos and other data that you can access anywhere (as well as download for offline access. Slacks take conventional instant messaging a step further to make a more useful group messaging and coordination tool. Slack covers your IM basics with real-time messaging synced across devices. It also supports file sharing, direct and group messaging tools. In addition, the app features a system of chat channels, allowing you to quickly set up subgroups for a task or topic-oriented discussions. 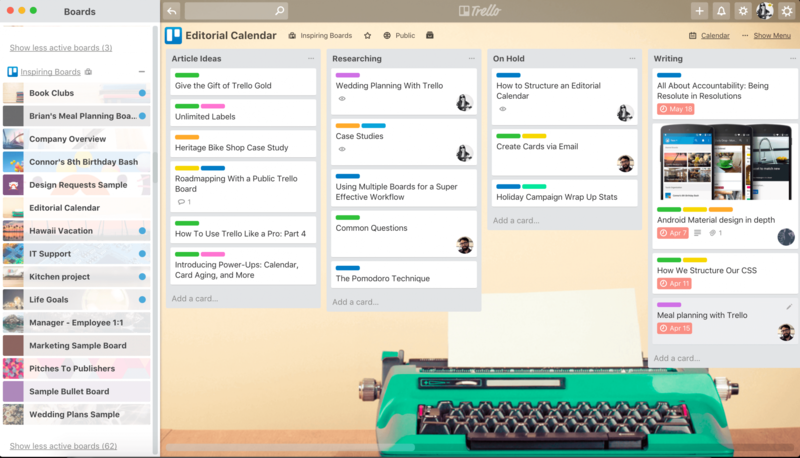 Trello is a highly customizable digital bulletin board that you can use to set up anything from to do lists, tasks, notes and more. Users create “lists,” which are dynamic containers that can be filled with “cards.” These can be anything from tasks, notes, ideas, pictures and more, which you can then drag and drop up and down the line, or move to other lists. All of this can be shared with other users, with provisions for creating new cards, adding comments, and assigning tasks. Google’s cloud storage service, Drive serves as a great productivity aid due to its integration with the rest of the Google ecosystem. Users can easily upload and download any file, and efficient file sharing and collaboration features let you easily work on shared projects collaboratively. Easy configuration of sharing settings, folder structure, quick access to recent files and details, and built-in viewing of documents, PDFs, photos, and videos make for a versatile cloud storage tool whatever mobile OS you use. 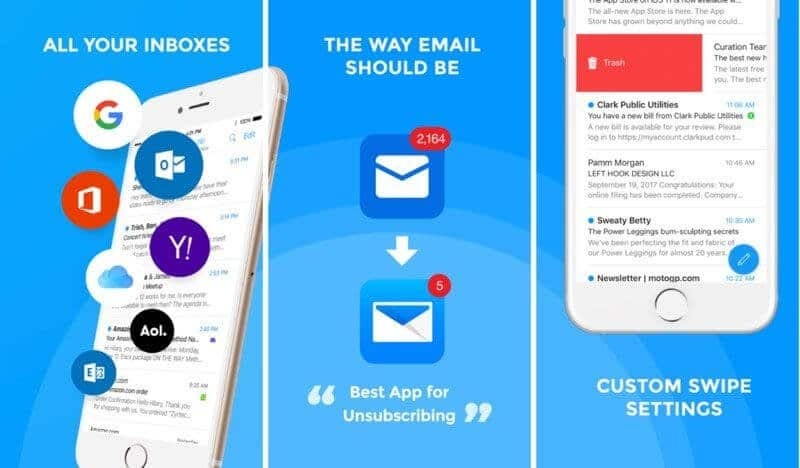 Edison Mail is an all-in-one mobile email app that supports a variety of email clients while also bundling in a handy smart assistant and many helpful mail management features. The app offers configurable swipe controls, auto-sorting of email by categories, and a handy bulk unsubscribe feature to help you get off spammy mailing lists. Real-time travel notifications immediately alert you to any travel-related messages such as flight delays or gate changes, and the package tracking system makes a search for tracking codes a thing of the past. 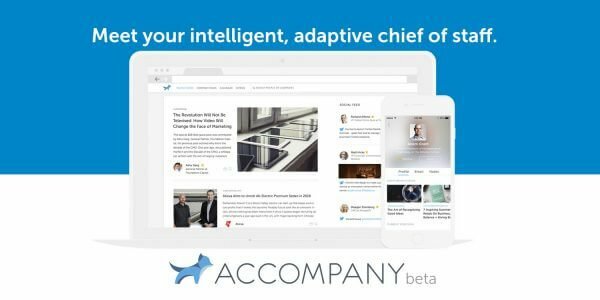 Accompany brings together calendar and contact management features so you can up your meeting prep A-game. Sign up for the service with your work email account, and Accompany turns itself into your mobile chief of staff, assembling detailed profiles for people and companies in your upcoming events and meetings, all of which you can look up on the fly or consult in an Executive Briefing emailed to you the night before the event. You can look up your last communications with contacts, their social media posts, or news stories featuring them, as well as company profiles, financial reports, and news, meaning you’ll never come unprepared. 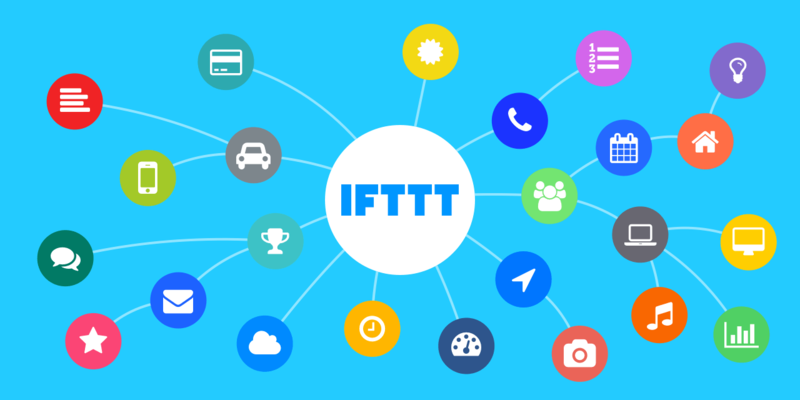 If you find yourself wasting a lot of time with repetitive internet tasks, or just want to automate tasks on your phone, try IFTTT the app comes with a variety of pre-built “applets” that automate tasks like backing up photos to cloud accounts, messaging your roommate or family if you’re near the grocery, or having your smart lights turn themselves on when you return home from work. In addition to the pre-built applets, Users can also build custom tasks from these applets and services, combining multiple tasks and triggers in an “If This, Then That” structure (from which the app takes its name. 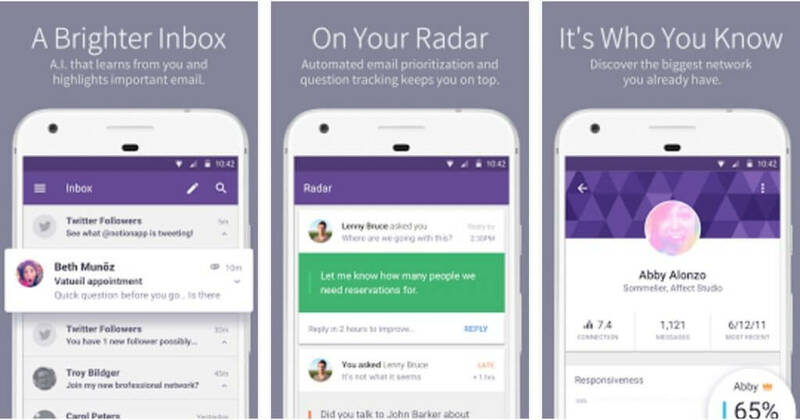 Notion uses artificial intelligence to help make sense of your email inbox. Notion’s algorithms take into account your email history, learning which messages are important and highlighting them in your inbox for easy reference, while a Radar feature zeroes in on messages that could use urgent replies for maximum productivity. In addition to its search features, customizable notifications, and swipe controls that you can personalize, Notion also includes an Alexa skill that allows you to listen to important emails and organize your messages through Amazon’s smart speaker system. Notion supports Gmail, G Suite, Office 365 and IMAP email services. Keeping track of and logging your working hours, shifts, and schedules can be a headache. Enter Hours, a handy iOS time-tracking utility that comes with a visual timeline, helpful reminders, and other tools to log in your work hours with minimal hassle. Users can set notifications; easily stop, start, and change timers; set rounding rules for time logging; view tracked hours on a calendar; and track time by client, project, and task. The app can transcribe speech with support for a number of languages and spoken punctuation commands. 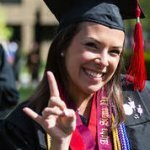 Recordings are sorted by date and time and can be manually renamed. The transcription also allows you to search through recordings for specific terms. 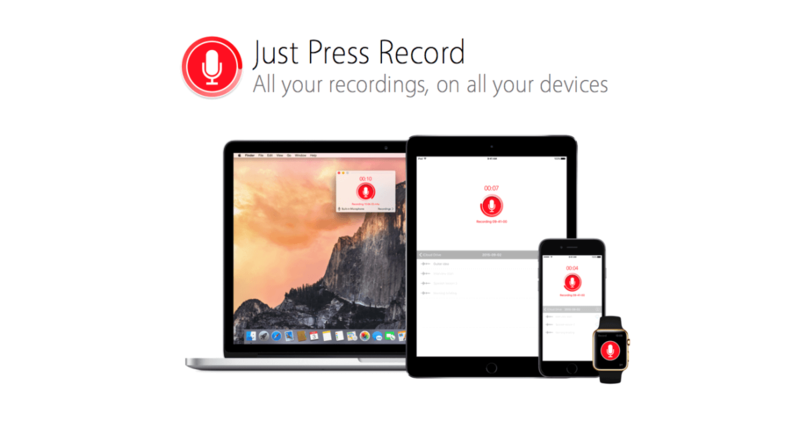 Recordings and transcriptions sync to iCloud, and you can share them with a variety of apps.